Tensions on the Korean Peninsula are higher today than they have been in decades, and the head of U.S. forces in Korea made it crystal clear to the Senate Armed Services Committee precisely what is at stake: Kim Jong Un, by his own words, would indeed use Weapons of Mass Destruction if his regime were threatened. This comes following another nuclear test and a long-range rocket test that shattered the nerves of many in the region. Even China is now willing to impose new sanctions on the Kim Jong Un regime. This is something that is as alarming as it is a positive development as it may signal that even Beijing has lost its once-powerful influence over Pyongyang. Yet now we know that there was more to the story. Information has emerged that the U.S. was considering secretly engaging in direct talks with North Korea without preconditions—that is before they executed another underground nuclear test in January. In addition, North Korea wanted nuclear disarmament to be off the table during the supposed clandestine peace talks, something the U.S. was unwilling to abide by. Direct talks with the U.S. have been the wish of North Korea for years, but multi-party engagement was always the chosen avenue for U.S. diplomats. Now both sides are at the brink of direct conflict, with North Korea warning that if South Korea and the U.S. engage in their annual large-scale war games in March that there will be serious repercussions. Although these types of threats are fairly normal, the setting of increased volatility in which they are being made is not. 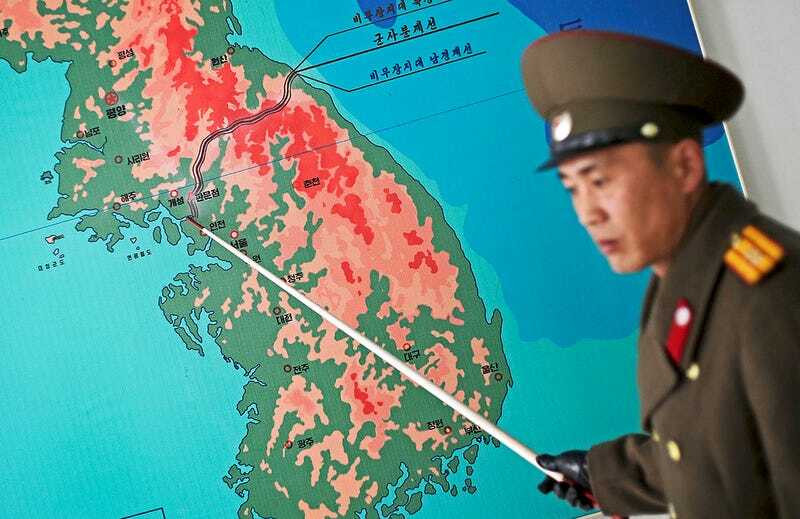 Making matters even worse, South Korea’s main spy agency, the National Intelligence Service, has said that the North is actively planning terrorist-like attacks on the South and that preparations for these attacks are being made at the direct request of Kim Jon Un himself. Everywhere from subways, to malls, to power stations, to anti-North protests could be targets for such an attack. Additionally, Pyongyang’s cyber warfare capabilities are also feared to used if the North decides to lash out. Another indicator of just how tense things have become on the Korean Peninsula has been the expulsion of all South Korean workers from the Kaesong Industrial Complex, one of the only glimmers of cooperation between the rival states. Following this act the North cut all communications ties with the South, leaving each side deaf in the event there is misunderstanding or emergency. Instead, both countries will have to rely more on communication via proxy than ever before. This is not a good thing considering the entire demilitarized zone is set on a hair trigger. Now, as China and the U.S. make progress on drafting a new round of damning sanctions on North Korea, we will have to wait to see what the Kim regime’s response to them will be if they indeed go into effect. The Hermit Kingdom is now isolated like it has never been before, and it is unlikely that they will take hard-hitting sanctions well, especially since they come at least partially at the hands of China, their supposed best friend for which they depend on for everything from energy to internet access. Contact the author at Tyler@jalopnik.com.